Whether you are a buyer looking for a primary residence or an out of state investor, Downtown Dallas Real Estate is a great area to purchase. Low interest rates, large inventory, and the $8,000 home buyer tax credit are just a few of the reasons many are jumping off the fence and running to the closing table. Buyers are finding great discounts and inventives on new, foreclosure, and pre owned properties in Downtown Dallas. The current buyer’s market has created optimal conditions for those looking to purchase homes, condos, townhomes and lofts in the Uptown, West Village, Turtle Creek, Knox-Henderson, Oaklawn area. Downtown Dallas Home Builders are offering some of the best incentives seen in years due to a surplus in inventory and loan obstacles created from the mortgage lending crisis. West Village Real Estate offers trendy bars, boutiques, cafe patios, live entertainment, theaters, in an ultra trendy setting surrounding by modern living. Uptown Dallas Real Estate also has created a buzz for local urbanites looking for the Soho style living offered in New York. The urban districts in Downtown Dallas have continued to grow and sustain life even through the market downturn which has weighed heavily on suburban areas such as Frisco, Mckinney and Allen. 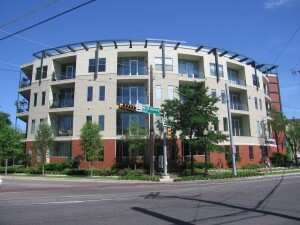 Turtle Creek Real Estate offers luxury highrise living, three story townhomes with rooftop balconies, modern community style condos, and urban lofts. All of the Downtown Dallas Districts have continued to grow and sustain life even during the downward turn experienced by more suburban areas. Knox Henderson Real Estate is another trendy hot spot in Downtown Dallas offering an array of housing options including urban homes, condos, townhomes, and lofts. Knox-Henderson is an area with great historic significance and is home to one of the oldest curbside shopping hot spots in Dallas with antique stores, restoration hardware, furniture stores, and eclectic boutiques. 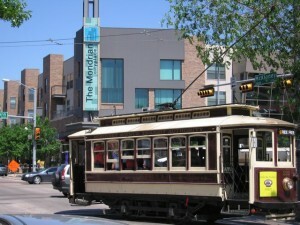 Oak Lawn Real Estate offers a vibrant urban atmosphere dating back over 100 years. Some of the most historic building in Downtown Dallas are located in Oaklawn including The Centrum Highrise Condominiums, The Melrose Hotel and The Oak Lawn First Methodist United Church.